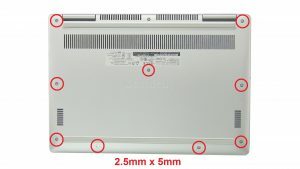 In this Dell laptop tutorial we are going to show you how to install and replace the Back Cover on your Dell Inspiron 13-7370 laptop. 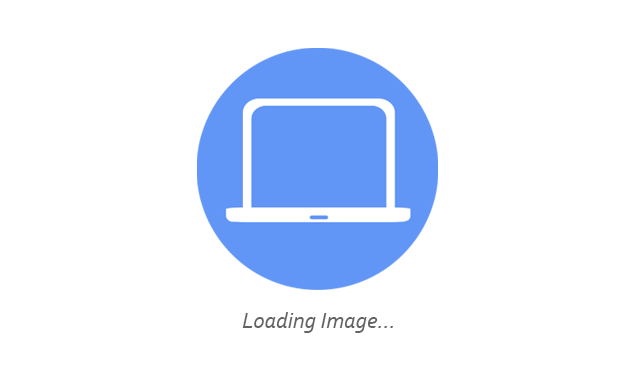 These installation instructions have be made into 10 easy to follow printable steps. 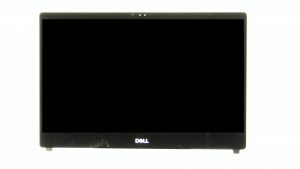 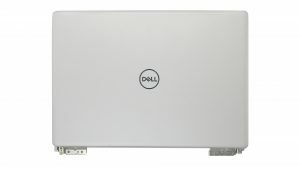 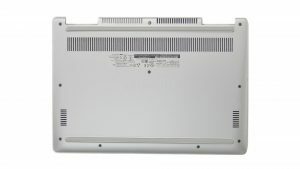 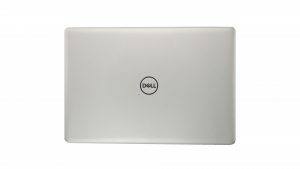 We have also create a video tutorial that shows you how to install your Dell Inspiron 13-7370 Back Cover. 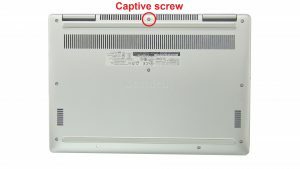 Unscrew and remove bottom base (1 X captive screws)(9 x M2.5 x 5mm). 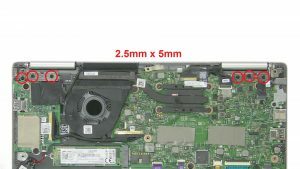 Unscrew and disconnect battery (4 x M2 x 3mm). 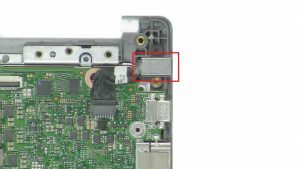 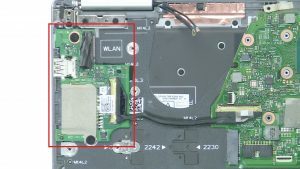 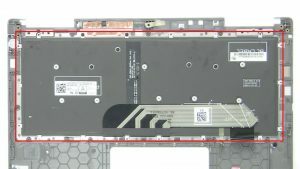 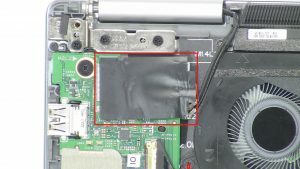 Peel apart adhesive cover from WLAN card. 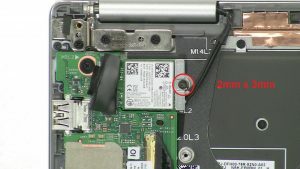 Unscrew and remove bracket (1 x M2 x 3mm). 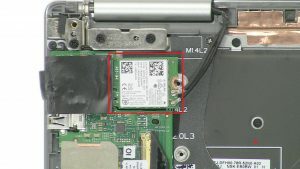 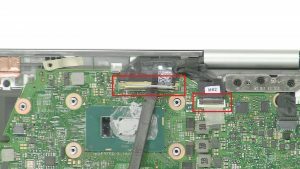 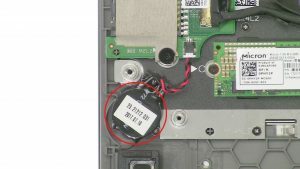 Disconnect antenna cables and remove WLAN card. 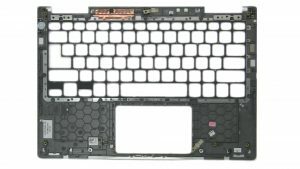 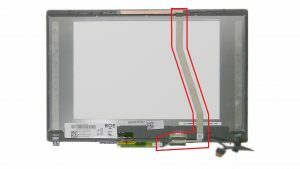 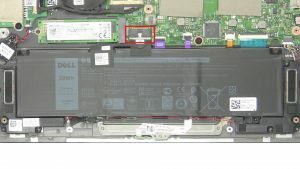 Unscrew and remove display assembly (6 x M2.5 x 5mm). 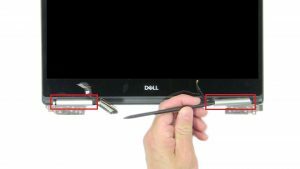 Pry apart and remove hinge covers. 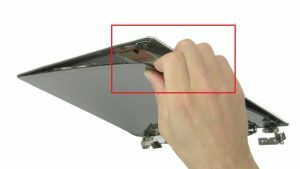 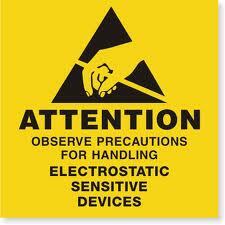 Use fingers to separate and turn over screen. 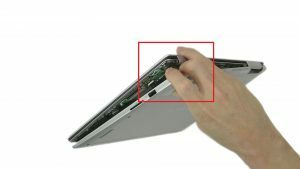 Use fingers to pry apart and remove hinge cap. 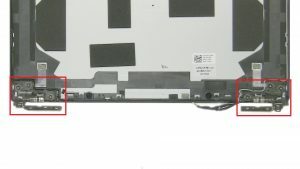 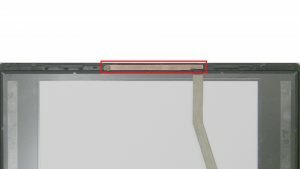 Unscrew and remove display hinges (6 x M2.5 x 3mm). 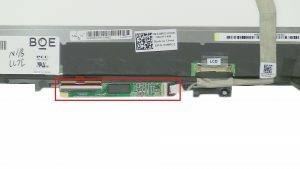 The remaining piece is the back cover.